I love food, there's no denying. I am a Malaysian - that means, I love good food, at any given moment of the day or night. So, travelling around, near or far, for good food, no problem! But what if there's a place where you can taste everything from different states and hotels? You get to taste it all in one place? Yes, the KL Big Kitchen. Click here for more info and listing. I usually don't go to crowded places. But the temptation is too strong, I mean.... good food, lots of famous chefs? Hell ya! Some of the highlights in KL Big Kitchen! 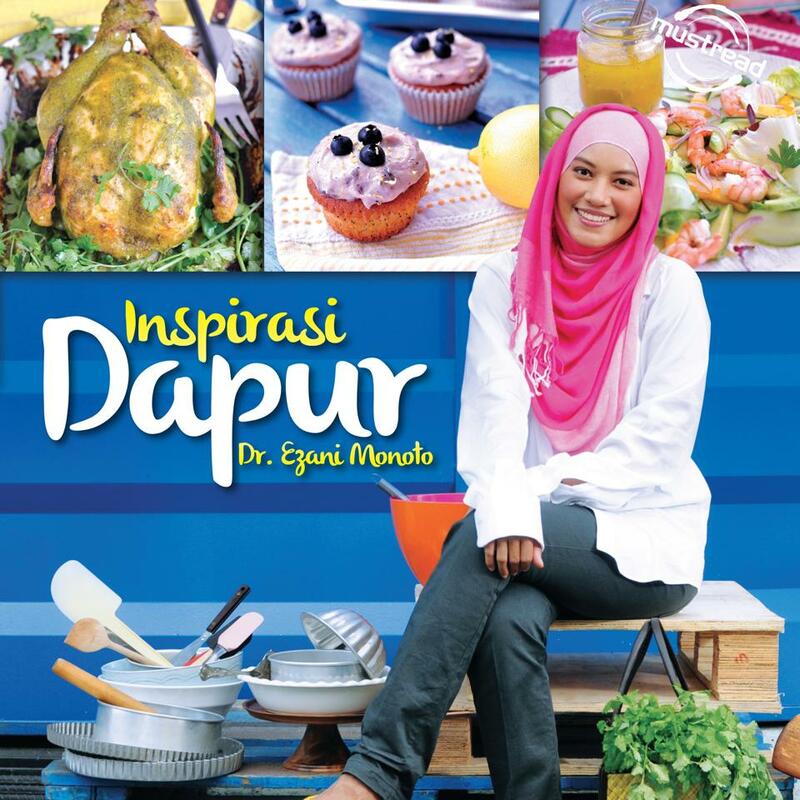 Her first book, Inspirasi Dapur! Check her page here. Image taken from her FB page. And I get to meet with Dr. Ezani, who is the first winner of MasterChef Malaysia! Woooots! I bought her book there and then! And I am gonna try it soon! Excited pulak! Finally, I got a copy of her book! She signed on it too! Yay! Thanks Dr. Ezani! 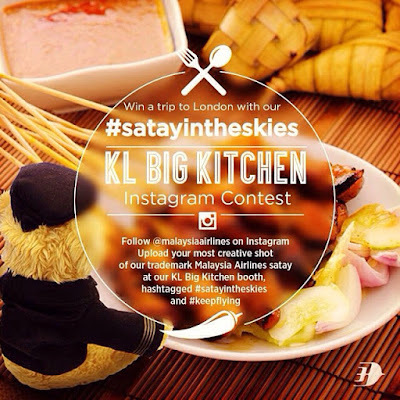 I get to taste Malaysia Airlines' award-winning SATAY! 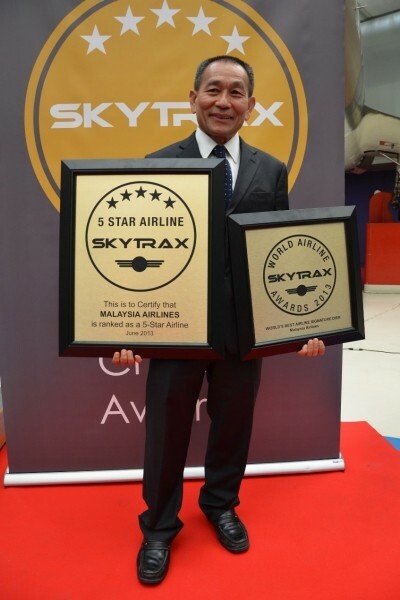 The SKYTRAX World Airline Awards awards our national carrier the "Best Airline Signature Dish" for the satay, which is a traditional Malay dish, served in First and Business Class cabin (although, I think the last time, it is also served in economy cabin). 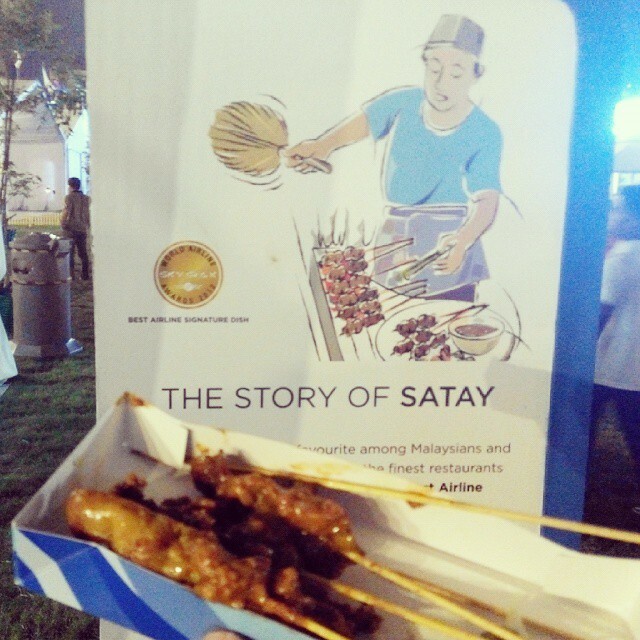 So now, without having to buy any tickets, you get to taste the satay too, served with generous amount of the peanuts sauce! YUMMY to the max! Yupe, MAS winning at SKYTRAX. Satay and road to London! Ok, I admit, I do want to win and go London! We went crazy with MAS' Satay!!!! Thanks to these two gorgeous cabin crew! Love them for playing along with me! LOL! I just realized that I never really took a pic of this icon! Now, I do! And while you eat, let the performers entertain you! Different performance at different tent ya! And you get to eat Churros here too! 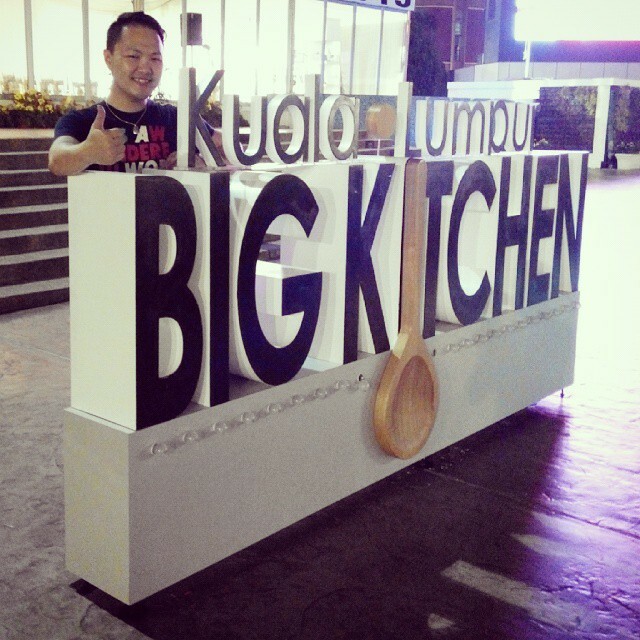 Mari kita pergi KL Big Kitchen! I feel a bit touristy as well! LOL! Better head down to KL Big Kitchen before everything kena sapu habis!